It’s game day here at spalanz.com, and today I’m taking a look at the new expansion set for Magic the Gathering – hitch up your dinosaur, as we head to Ixalan! The story depicts the search for the fabled city of gold, El Dorado Orazca, and its legendary artifact, the Immortal Sun. There are four distinct tribes on the plane, with a lot of tribal cards for each that make this set feel like it slots nicely into this year’s Commander products! 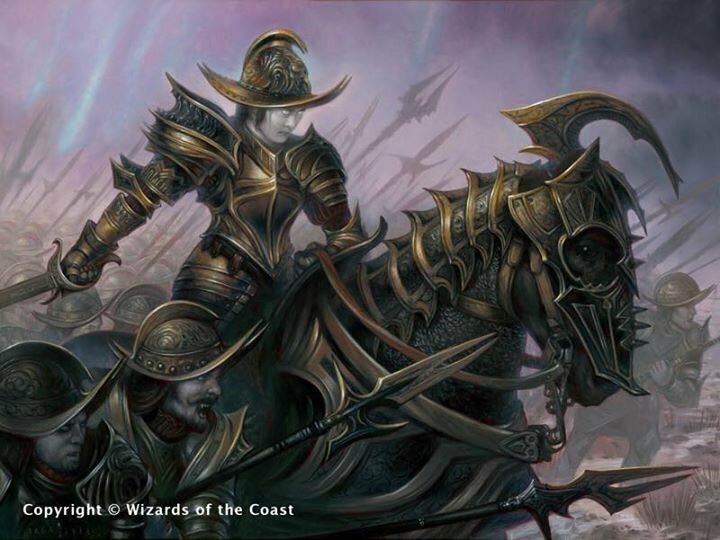 We have the dinosaur riding warriors of the Sun Empire (Naya), fighting against the Merfolk of the River Heralds (Simic), the Vampire conquistadores of the Legion of Dusk (Orzhov), and the pirates of the Brazen Coalition (Grixis). In the middle of all of this, we have the return of Vraska, posing as a treasure hunting pirate while she attempts to recover the Immortal Sun for Nicol Bolas (in return for Guild leadership of the Golgari on Ravnica). Jace is also here, naturally, although he’s once more lost all of his memories, and so is used by Vraska and the pirates as they fight against the Legion of Dusk. My Artwork for #MTGXLN "Kopala, Warden of Waves"
Tribal is obviously a thing on Ixalan, but let’s take a look at the new (and returning) mechanics. First up is Explore, which allows you to reveal the top card from your library, and draw it if it is a land. If it isn’t, you can put a +1/+1 counter on the Exploring Creature, then put the card drawn either back on top, or into your graveyard. Enrage is a dinosaur ability that has consequences whenever the creature is dealt damage. Raid is back from Tarkir block, but with some slight differences (including as an ongoing effect), and Vehicles are back from Kaladesh. Wasn’t really expecting to see either of these so soon, especially Vehicles, though it’s always cool to see old stuff brought back. We also have double-faced cards that transform into lands, which have card frames that look like old maps. While I do like this, part of me still gets a bit annoyed when Wizards messes with the frames too much. But not enough that I’d want to quit the game or go onto an extended rant about it, of course!! Dinosaurs are obviously a marquee creature type for the set, and several older Lizards are being retconned as the Dinosaur creature type, which is nice. Ixalan has also given us our first and, so far, only Trilobite, and has brought about the rules change that makes Planeswalkers Legendary now, removing the Planeswalker Uniqueness rule in favour of keeping things a little more sleek. I’ve been planning to use the vampire cards in my Edgar Markov deck should any decent ones present themselves, anyway, but when I learnt that Merfolk were moving into blue-green for this set, it made me want to make a Merfolk deck as well! I’ve never really been as keen on Merfolk as some, but I love the Simic combination (it’s one of only two places I enjoy playing green), so it’s natural I’d be drawn there this time! 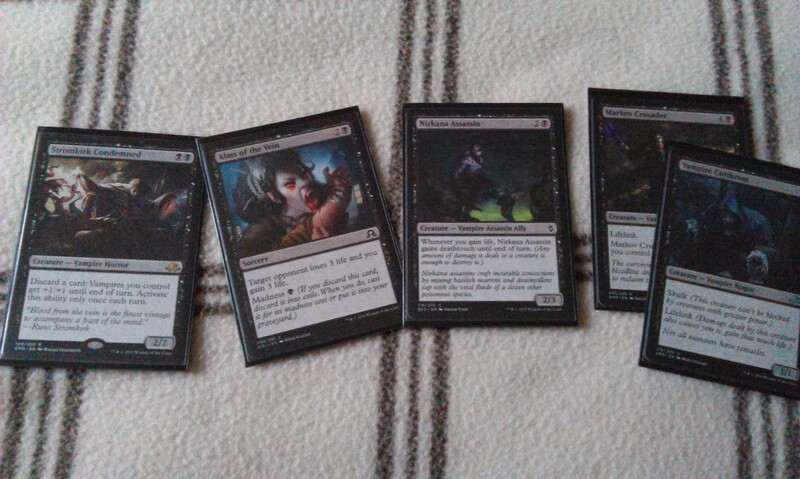 I was going for a bit of an aggro deck, which would be bolstered by having a lot of Vampires out when Bishop of the Bloodstained arrives. However, I think I had been going for theme more than anything, and only managed to win one game with them out of the three. My regular gaming buddy made a bit of a janky red/green dinosaur thing that ended up just smashing my face, when all I could do is get out vampire tokens. Hm! Overall, then, I really like this new set! 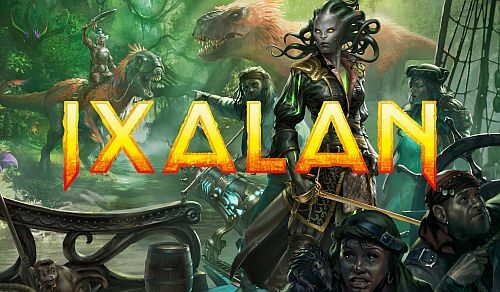 Author spalanzPosted on October 3, 2017 September 30, 2017 Categories board gamesTags card games, deckbuilding, Ixalan, Magic the Gathering1 Comment on Ixalan! Commander is a multiplayer format of Magic, where decks have 99 cards that work around a central Commander, which is any Legendary Creature from the long history of the game. 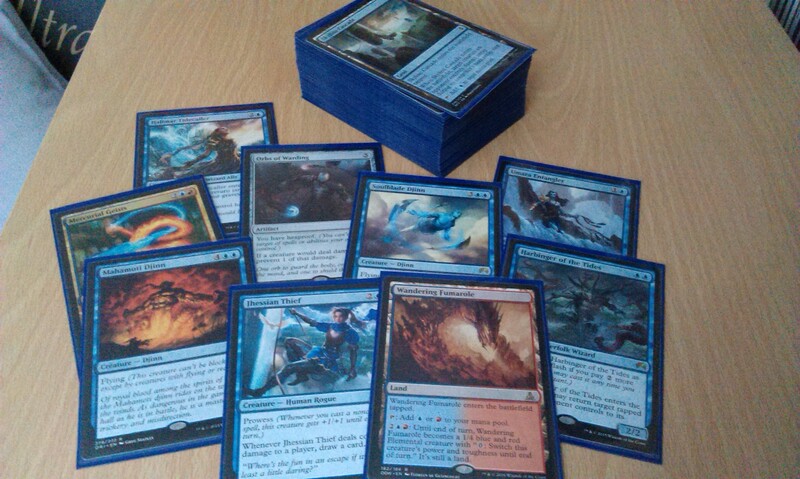 Additionally, your Commander deck cannot have more than one copy of any card aside from basic land cards. 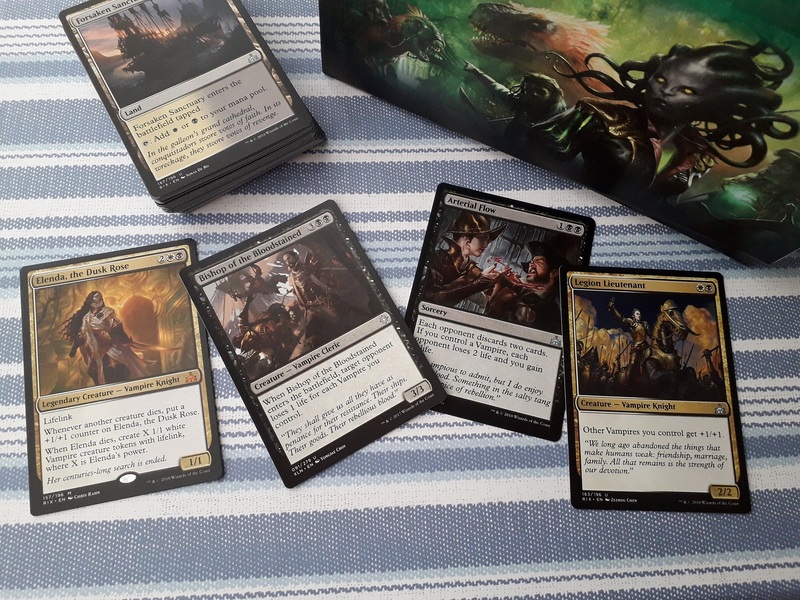 The deck can only contain cards that are in your commander’s colour identity – that is to say, any colour that is referenced on your commander’s card, both in casting cost and the text box. The commander starts the game in the Command Zone, and can be cast from that zone whenever you have the mana available. Whenever if would go into the graveyard, back into your hand/library or into exile, you can instead have it return to the Command Zone, whereupon you must pay 2 additional colourless mana to cast it again, and an additional 2 colourless mana each additional time you do so. Finally, players start at 40 life, and in addition to the usual rules for decking out or being reduced to 0 life, you will be eliminated if your commander takes 21 total damage over the course of the game from any other single commander. I actually managed to play a Commander variant called Duel Commander, which was 1v1 rather than the usual multiplayer buffet. 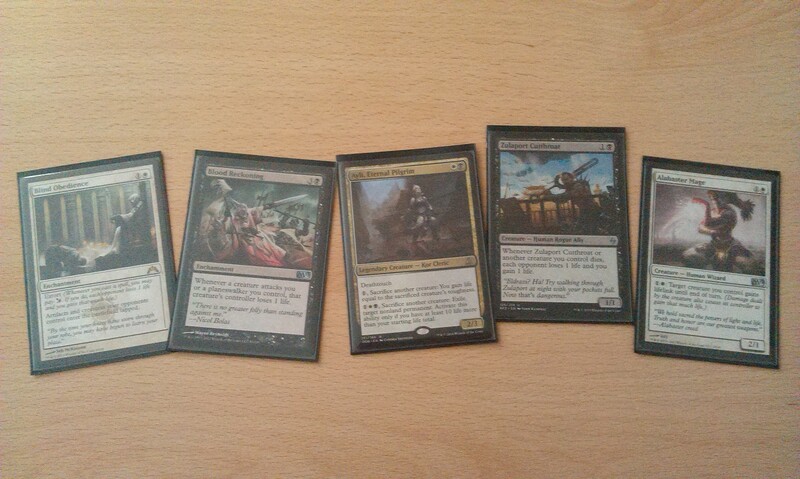 For my game, I had constructed a black/white deck using Ayli, Eternal Pilgrim as my commander. She’s a cheap choice, and the deck doesn’t rely too much on her to function well. It’s very much a drain-and-gain deck that uses effects like Extort to work, rather than anything that I really wanted to have going on, such as the bigger spells for reducing my opponents’ life. But it worked well enough! The deck has plenty of stuff to really bring the pain, such as Sanguine Bond or Defiant Bloodlord combined with things like Sunspring Expedition and Meditation Puzzle. Anything to really cause some serious lifeloss while also putting me ahead! So yeah, Commander was a fun game to try as something different, but I suppose it would have been more interesting if it was a full multi-player experience. 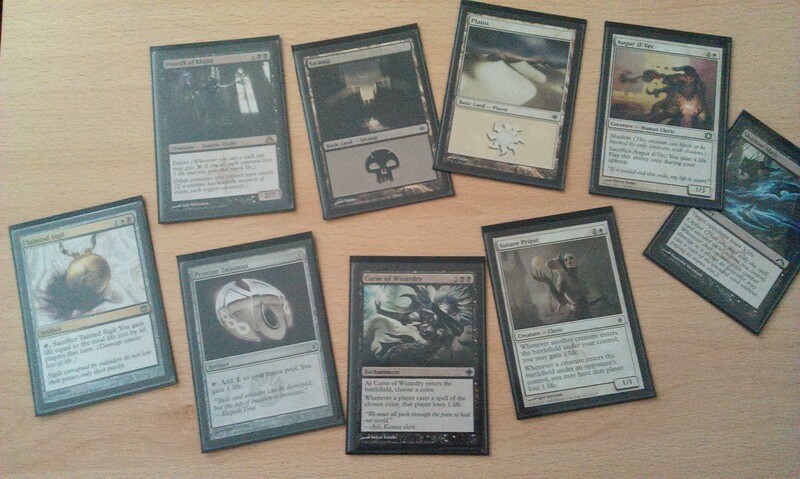 Anyway, here’s my Ayli, Eternal Pilgrim deck – enjoy! I haven’t been playing a lot of Magic lately, so have been feeling kinda rusty with the whole thing. I also haven’t really been paying attention to a lot of the new cards released from Kaladesh onwards, if I’m honest! It might need a bit of a tune-up in light of some of the more recently-released cards, but I guess time will tell on that score. 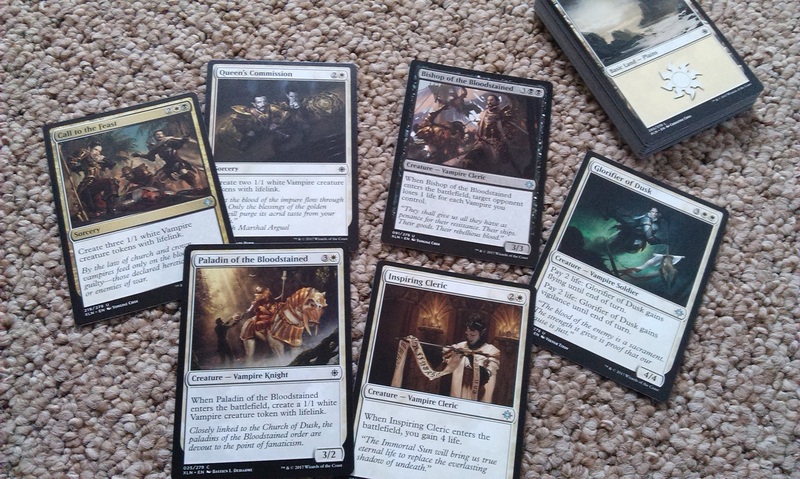 I’d also like to get down to some more Magic games and try this thing out in a full multi-player environment. So stay tuned for that in the new year! 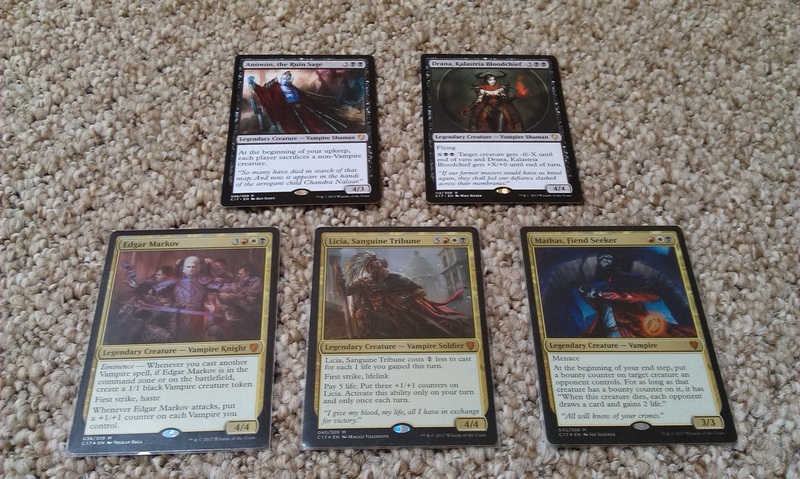 It’s another game day blog here at spalanz.com, and this week I wanted to return to looking at some of the weird and wonderful decks I’ve been building for Magic the Gathering. 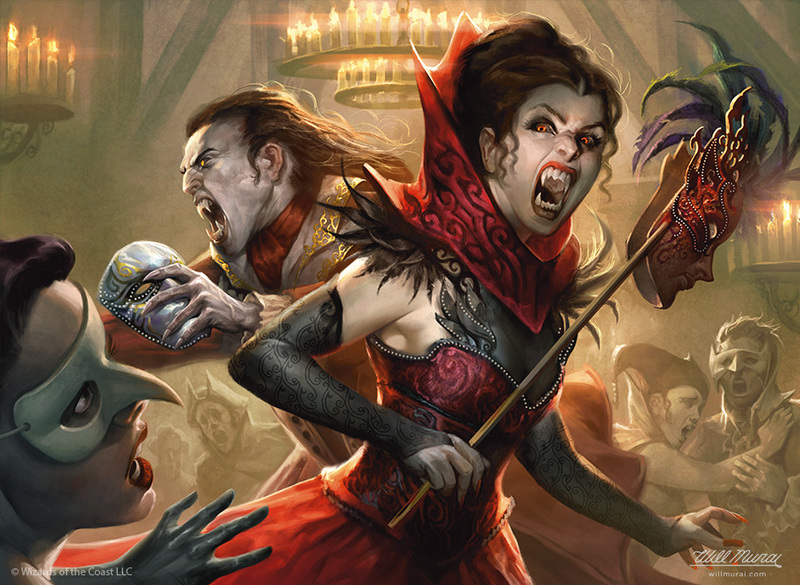 Earlier this year, I started to write some blogs about the decks I’ve been playing, starting with the blue/black delights of House Dimir, and this is very much a continuation of that theme as I look at another of the guilds of Ravnica: the Boros Legion! Boros is red/white, and is centred around the idea of lots of attacking creatures with lots of buffs. While I like both colours, I usually prefer to have them each paired with black (though I have also experimented with blue/red in more recent times). It feels almost deceptively simple to play red/white, however. The basic premise for the deck is to have a lot of creatures out attacking, and play spells to buff them during combat. That’s pretty much it. Playing specific Boros cards, however, grants even more buffs thanks to their keyword, Battalion. This is an ability word that provides an effect whenever the creature with Battalion attacks alongside two or more creatures. There aren’t actually that many creatures in this deck with Battalion – I wanted just a couple, with enough generic chaps to keep the deck interesting. 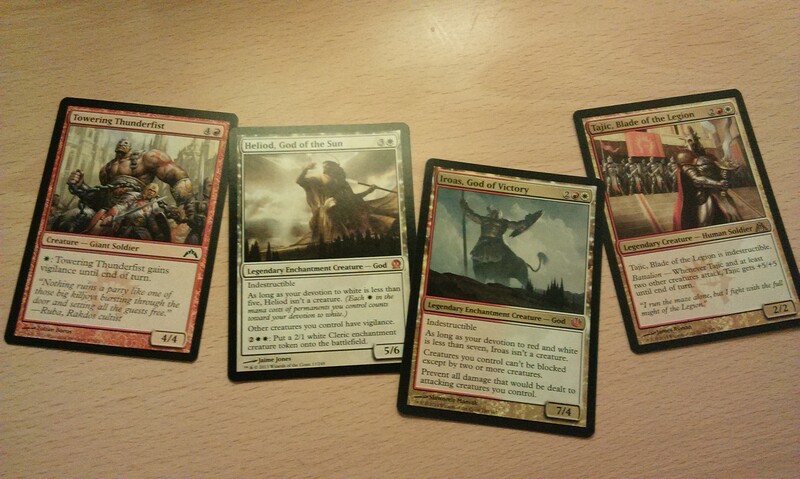 Indeed, I think building this Boros deck really helped to demonstrate to myself some of my key tenets of deckbuilding. I don’t like to have a strategy that hinges on just a couple of cards, but rather have a fairly wide strategy for the deck overall. This Boros deck really demonstrates that insofar as pretty much everything does the same thing, so no card or cards are more crucial than the rest, the deck will still work no matter what is removed. There are some things I’d like to swap out, as I’d really like to give all my creatures Haste, but I think I’d be too concerned with relying on a small number of cards. There are also a number of cards from Theros block that feature the Inspired keyword, granting effects whenever the card is untapped. I really like these sorts of things, where the effect will trigger almost automatically (hence why I love Landfall so much!) God-Favored General is probably the best example of this, with the very Boros-like ability of creating soldier tokens whenever he becomes untapped. I’ve talked about this before of course, but I love to see how the colour combinations have consistency even when on different planes. I have two god-cards in the deck, but the overall strategy doesn’t truly depend on them. Sure, if I can keep Iroas out and give my creatures menace as well as preventing all combat damage to them on my turn, then that’s pretty great, but it’s not going to end my day if Iroas is killed off or continually bounced, or whatever. As usual, the gods serve as a distraction while I try to overwhelm them with other dudes. While legendary creatures do most often serve as distractions in my deck, I do like Tajic, Blade of the Legion, and am most sad when he dies quickly. It’s something of a shame for me that I’ve not yet found a good way to consistently get Haste for all my creatures, because I want to attack with him the minute he hits the battlefield – obviously, when I’ve got two other guys attacking with him. 7/7 for four mana is just too good to pass up! 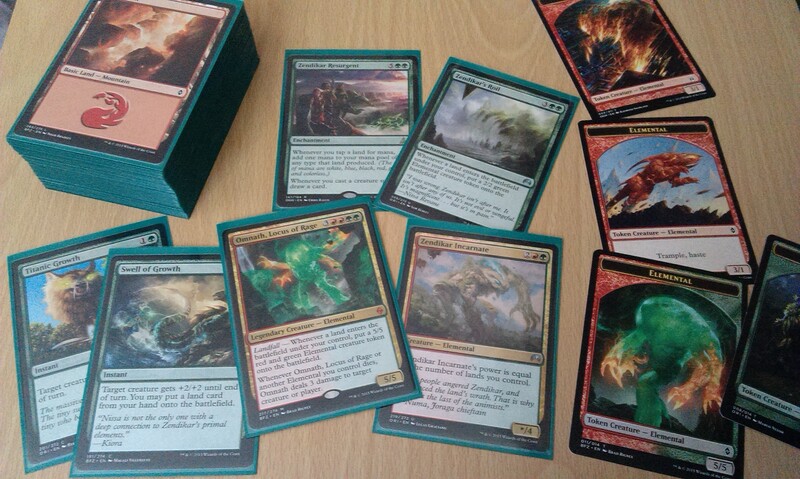 I’ve also tried to get a lot of anthem-effects, which I always think are important in creature-heavy decks – the type of decks I like to play the most! 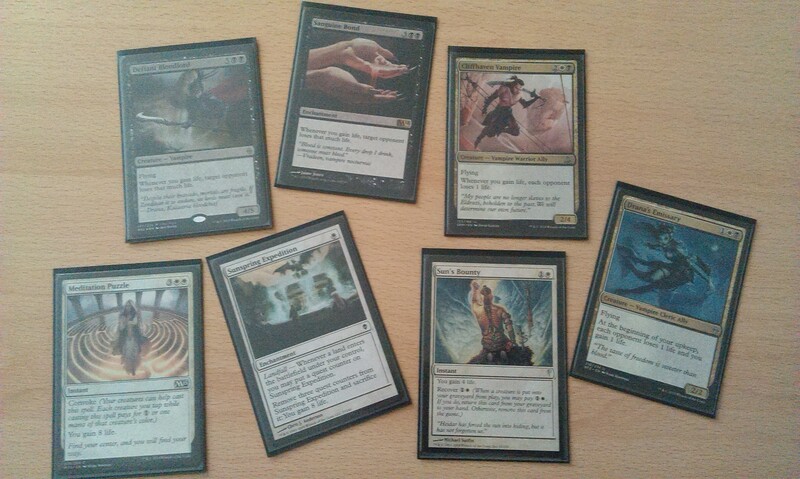 Paragon of New Dawns is perhaps my favourite to play here, giving other white creatures +1/+1. There are more white than red creatures in the deck, and the muticoloured creatures count for this effect as well. Righteous Charge and Spear of Heliod are good for all creatures, though, and the combination has been quite effective when I’ve got a big board going all-in! 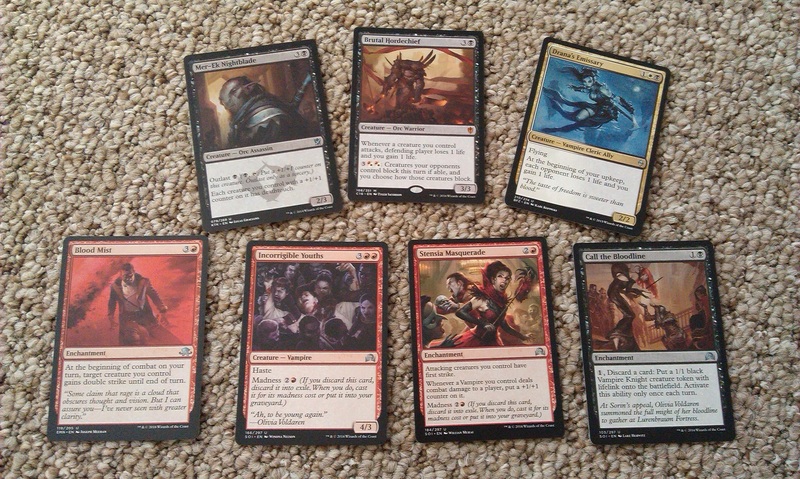 This is a fairly basic red/white attack deck, with a fairly hefty landbase to accommodate those enchantments. It still needs a little bit of playing around with, to be sure, but it has been a lot of fun to play, especially when the board is just right and I can swing for 23 in a single turn! 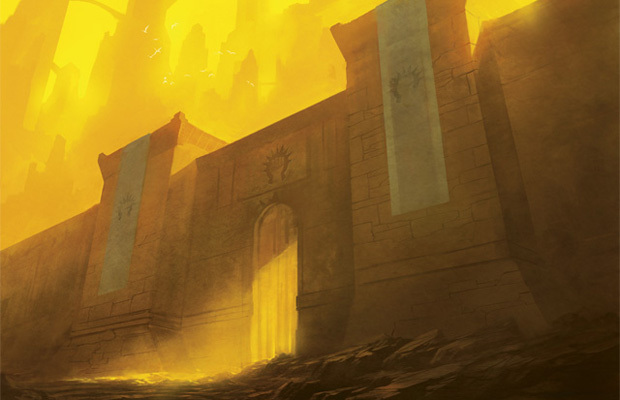 Time for another game day at spalanz.com, and today I wanted to take some time to mourn two of my favourite Standard decks from this past season. 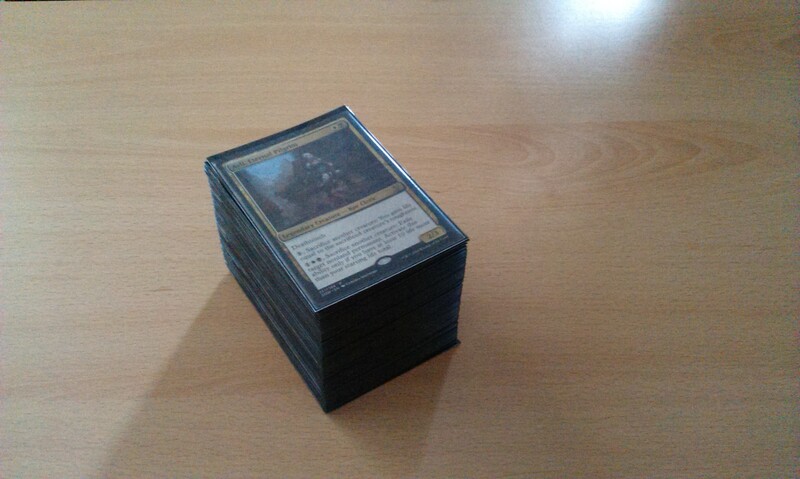 Rotation doesn’t actually happen until Friday of course, when Kaladesh hits for real, but I’ve spent the last couple of days going through my current stable of decks to weed out those with cards from both Dragons of Tarkir and Origins. 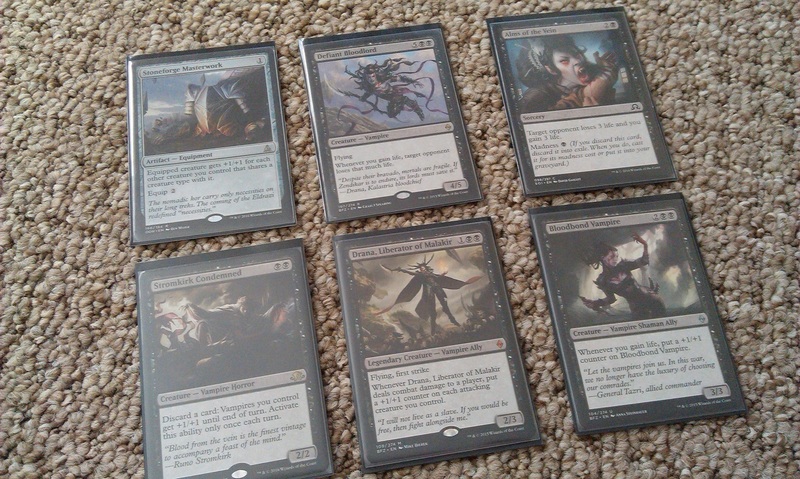 One deck emerged unscathed, my W/B vampires deck, and another retained the majority of its cards, mono-black vampires. While a couple had never really gotten off the ground anyway, I’ve nevertheless had two that will suffer significantly for the loss of Magic: Origins from Standard. Let’s take a look! So first of all, I’m sure plenty of seasoned veterans of the game will be thinking, why would my decks suffer from the loss of Origins? A lot of folks have a bit of a snobby reaction to the core sets, and almost rejoiced when they were cancelled, but I really like both the variety of cards you get in them, and also don’t build decks with which to destroy people. I like a variety in a lot of what I do, and this is certainly clear in the decks that I’m gonna be talking about today! 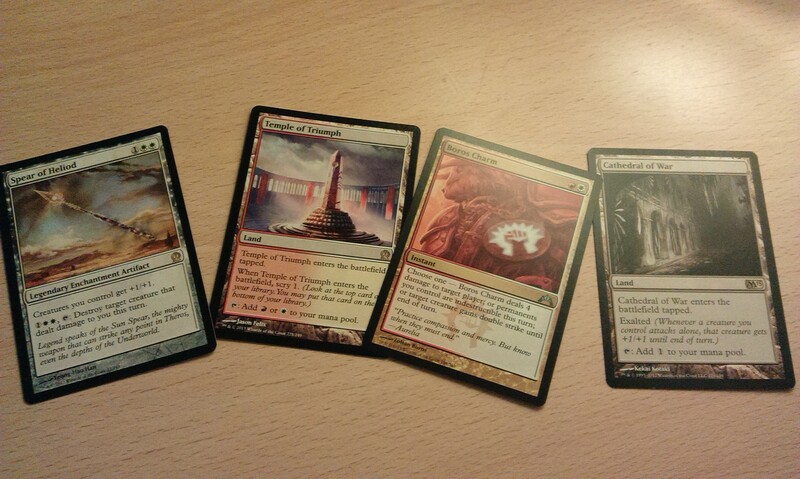 First up, it’s my treasured blue/red land prowess thing. I’m not great at coming up with names for my decks, in case it wasn’t abundantly clear already. This deck was a departure for me, because I built it when I made the decision I wanted to see what blue could do. 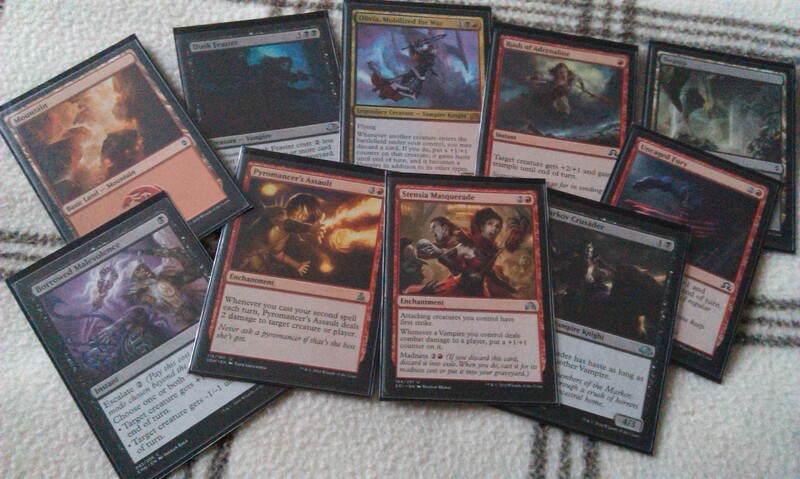 My favourite colour-pair is black/red, and I knew I didn’t want to go down the avenue of blue/black, so veered instead into the toolbox that is Izzet. And as it turned out, I had a lot of fun with this! The deck involves prowess, obviously, but is still quite creature-heavy, because that’s where I’m most comfortable (though not as bad as my attempt at building a Jeskai deck!) There is also a lot of Awaken shenanigans with the lands, including two copies of Wandering Fumarole, a card that I really enjoy having out on the table more to mess with my opponent than anything else. My second Standard deck that I’m going to miss is something else that is pretty much outside of my comfort zone when it comes to playing the game: red/green landfall elementals! It’s basically a deck that makes huge dudes bigger, and bash everyone in the face. I suppose it’s kind of an aggro deck insofar as it doesn’t really care about defense, but more about presenting a lot of threats from the off, and isn’t very subtle all told. There are a few bits in there about making tokens and stuff, though that’s not super overpowering. Hopefully things like Akoum Stonewalker will draw enough attention that the big Hellions and other Elementals will go unmolested! But not very sneaky at all – the one concession to anything other than face-punching is the Jaddi Offshoot, which is a good chump-blocker that can help gain a bit of life if I’m struggling from not putting up any kind of defense. I’m not a big fan of green at all, but I did enjoy playing this one, as it failed very rarely. Sometimes it could be overpowering with the right draws, which made some matches too one-sided for me, but a decent deck that will be sorely missed. There may well be some cards in BFZ block that I’ve missed, which could plug some holes once Origins goes for good, but I’m thinking that this deck might actually be retired for the time being. 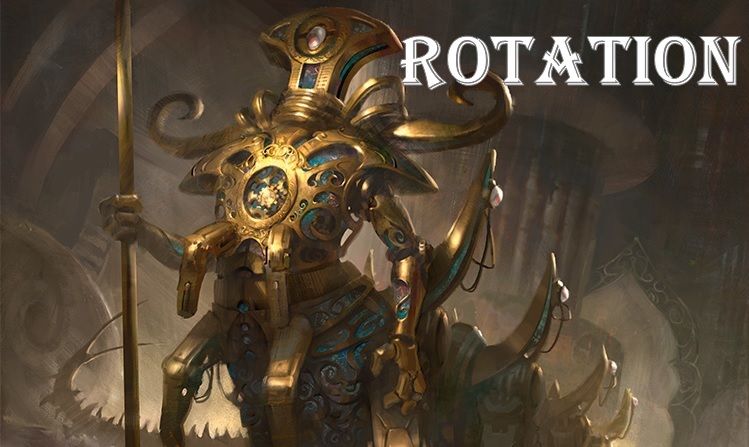 Of course, rotation isn’t only a time to be sad, as it does also mean that a whole raft of new cards are incoming, which forces a re-evaluation of the previous two sets that will hopefully allow for more cool decks to emerge. 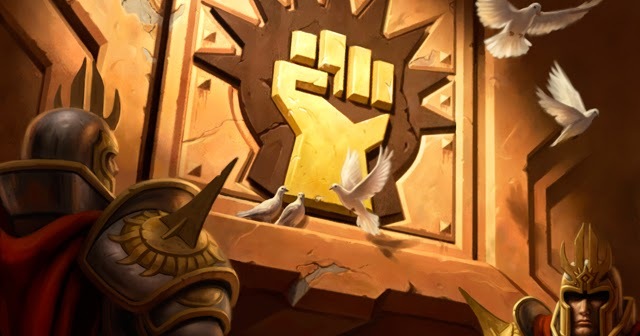 I sadly didn’t make it to the prerelease at the weekend, and haven’t spent a tremendous amount of time studying the cards from the new set yet, so I’m kinda excited to see what’s going to be new when I get my hands on those new packs for the first time!